Jo Ann Wilton has shown her work on the Lakeshore Art Trail for 9 of the previous 10 years usually at the Lorne Park Library location. 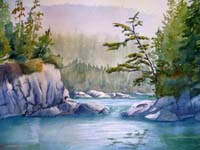 “I really enjoy the magic of painting with watercolour where the unforgiving nature of the medium forces me to be more spontaneous, accepting and less obsessive in my work.” Jo Ann has been painting for about 12 years - since retirement - and has taken many courses with Dave McKee, Ann Fullerton, Mark Hobson (B.C.) 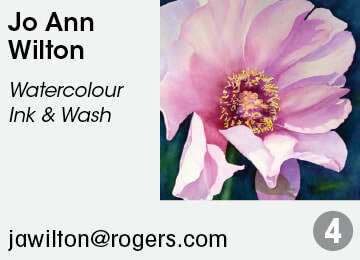 and Donna Cameron (France) plus courses and workshops with several other key instructors in the Mississauga area. Jo Ann’s greatest satisfaction from showing her work is the pleasure of watching someone engage with and enjoy, even for a moment or two, something she has created. 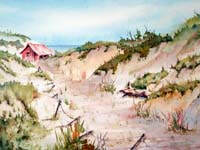 Jo Ann is a member of the Purple Studio Painters.